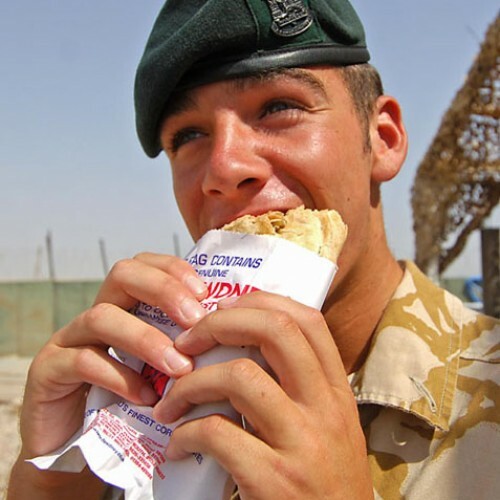 LCpl Matthew King from Bournemouth Dorset serving with the 20th Armoured Brigade Surveillance Company holds his pasty ready for inspection – or consumption! 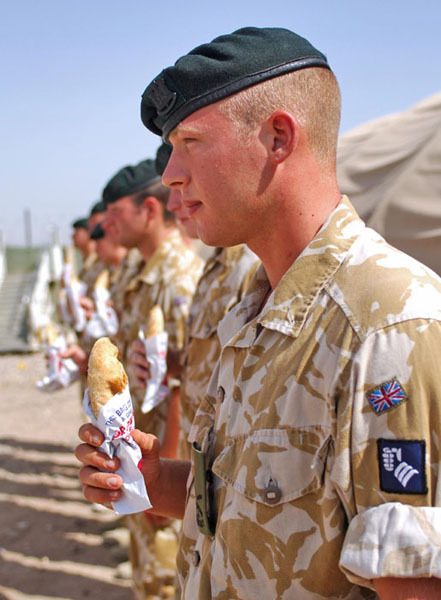 It was raining pasties for the boys of the 1st Battalion, The Devonshire and Dorset Light Infantry, based in southern Iraq, when the RAF flew in hundreds of the West Country specialities for their Regimental Day. 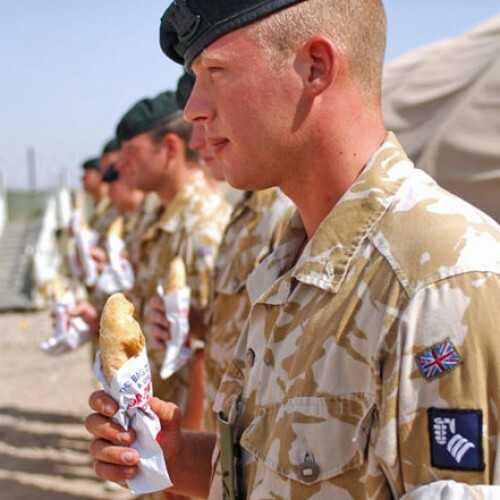 Ivor Dewdney, a Plymouth based pasty maker, kindly gave 600 of their choice pasties so that the soldiers in Iraq could enjoy a genuine local product on their special day. The Regimental Day is on the 22nd July because it was that day in 1812 that Wellington dubbed the 11th Devonshire Regiment the “Bloody Eleventh” for their valiant efforts against the French at Salamanca. Of the 412 who entered the battle, 341 died. 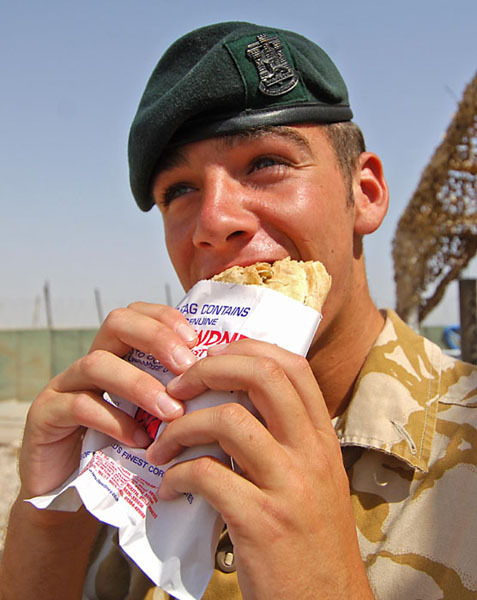 The Basra-based company also spent the day reflecting on the recent loss of Corporal John Johnston Cosby. He died in one of the arrest operations which are a feature of their role as the 20 Armoured Brigade Surveillance Company at Basra Air Station. Traditionally Salamanca Day is celebrated with a fun day centred on the South West. 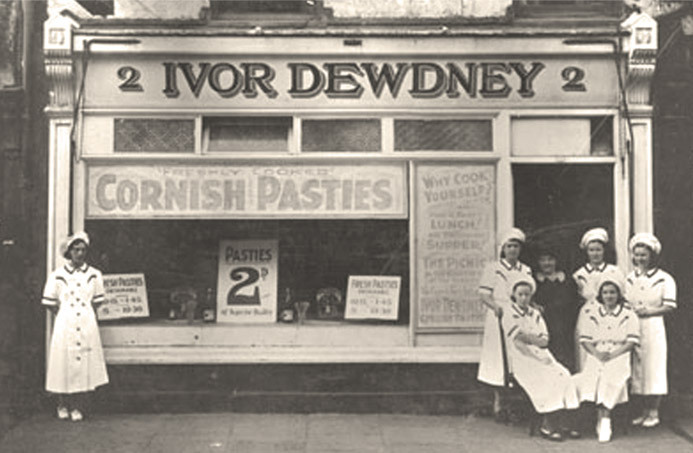 This year the pasties took centre-stage as a reminder of home. 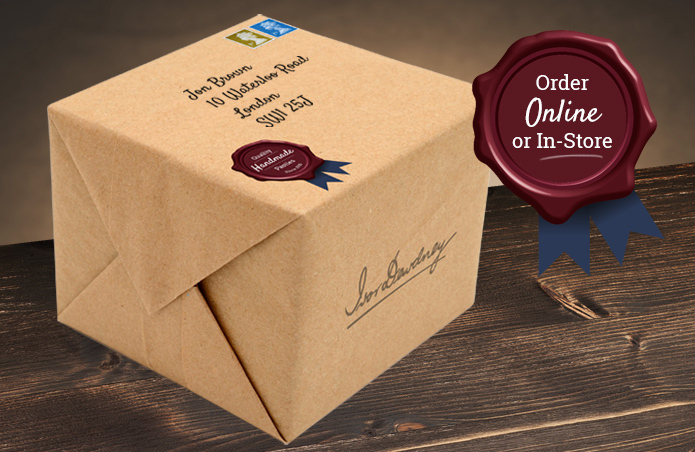 The Regiment is soon to become part of The Rifles Regiment along with The Royal Gloucestershire, Berkshire and Wiltshire Regiment, The Royal Green Jackets and The Light Infantry Regiments. All units share the Salamanca Battle Honour.